More than a week ago, I wrote a review for this book. I was about to post it. In fact, it was when I pressed Control-C that something went wrong with the program. It crashed. Of course, I write my reviews in a document program and I regularly save them, so no worries. But when I tried to reopen the file, something was wrong. There was nothing there. I inspected the file—it had been reduced to 4 kilobytes. I tried to bring it up on another computer, but the file had been replaced with nothingness. My initial reaction was, “screw that—I'm not rewriting that review.” It's not that it was a great review by any means, but it was rather lengthy and I have other things to do with my time. The lack of a review weighed on me, however. One of the many things I learned about Serling from this book was that he was a very hard worker. He made it in the business because he refused to give up. I give up too easily. So even though it's just a silly review for a book, a review that a handful of people will read, I'd decided to channel some of that Serling energy and make it happen. Perhaps it was for that lesson that my computer crashed in the first place. Wouldn't that put a whole Twilight Zone spin to it? About a week ago, I made second attempt. Nothing crashed. But everything about the review felt wrong. I failed miserably. And at this point, I have to wonder, what is the point of this rambling? 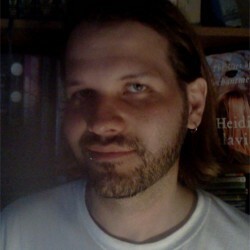 Does anyone wanting to read a review about As I Knew Him really care about my difficulties writing this review? Probably not. But still I press on. What is the reason I'm struggling with this review? Sure, the first was out of my hands, but I hadn't been happy with it. Perhaps my disgust for the second attempt was coupled with the frustration caused by the first failure. Maybe I'm just going about this review all wrong and the fates are trying to tell me something. What could I do different? I'm going to avoid talking about the details of this book. If you're interested in Serling or his works, or in the life of a famous person who still resembled a decent human being, then you should consider reading all the details yourself. Also I'm not going to go into the “what works” and “doesn't works” of the book. I'm going to skip over all that and jump to the end. I really enjoyed As I Knew Him. 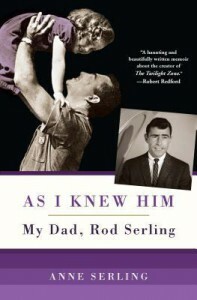 I've always been attracted to something in the character of Serling, and now that I've read this intimate, heartfelt memoir written by his daughter, I think I get it: Serling really was something special. At a time when so many people turned a blind eye to injustice, Serling battled harder than many of his contemporaries to get his stories told. When he was censored, he sought ways to get around the censors, an action which resulted in his most notable work. But Serling was also a family man, an artist who put his work second only to his family. And these two characteristics were exceptional in a man who couldn't walk down the street without being recognized. I find inspiration in this. I want to put my family first, my art second, and make sure that there's little room for anything else in my biography. This is nothing like my original review, the one that possibly exists only in another dimension. Or my second review, the one that never gelled. They're both gone. What's left is this. I'm not even sure if you could call this a review, but it's all I'd had left to offer… It's time I move on.